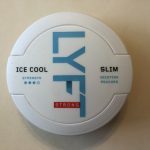 Here on the Northerner blog I normally focus on reviewing snus and dipping tobacco brands, but every now and then I do a review on a cool snus accessory (such as the IceTool) which I think readers may be interested in using. 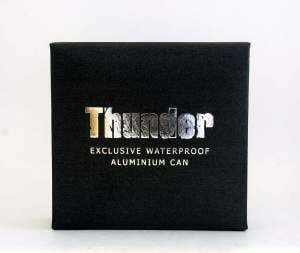 Today I’ve decided to review the Thunder Exclusive Waterproof Aluminum Can. Released by V2 Tobacco in Summer 2014, the can is a limited edition accessory. Once I unboxed the can, I noticed that it is the same size as a standard snus can (but weighs more) and it fits easily in my pocket. The entire can is made of solid aluminum, making it both durable and easy to clean. To test the can’s waterproofing abilities, I filled it with some Thunder Caramel Vanilla snus and submerged it in a bowl of water for a few minutes, making sure to move it around several times while underwater. 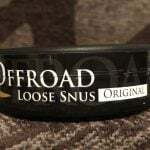 As you can see in the photos, the snus stayed completely dry and ready to use! To clean the can, simply wash it out with soapy water and then dry it out. If you’d like to disinfect the can (such as when you have a cold), simply put some high proof alcohol on a cloth and give it a wipe down. 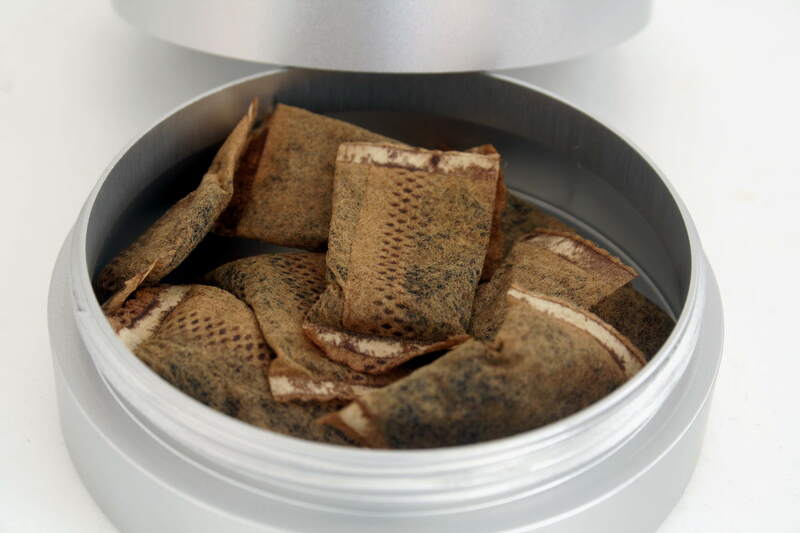 Although it is a little pricey, the can not only looks great, but also serves a practical purpose as well. 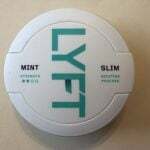 For example, if you’re planning on going swimming, you can simply leave the can in your pocket without worrying about your snus getting wet. 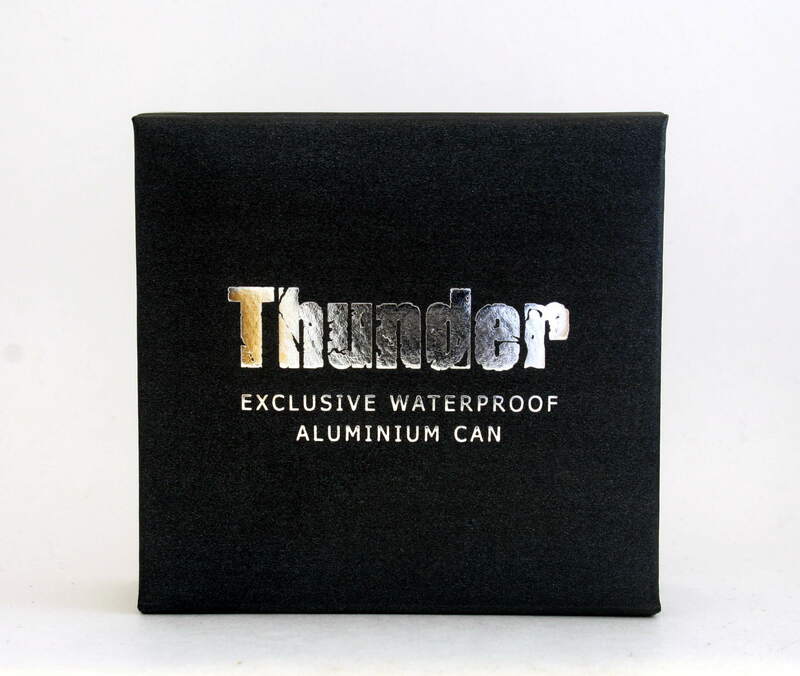 The can is also great for those who work outdoors in dirty or wet conditions where a regular can may not hold up. The only real downside that I can think of is that because the lid and can are both metal, when you attempt to screw (or unscrew) the can a fairly high pitched squeaky noise is made which can be noticeable in times that you need to be quiet. However, I did find that putting a little bit of oil on the contacts really helps to keep the noise level down. Overall I’m really enjoying the Thunder waterproof can, and I’ve been finding myself using it on a daily basis to store my snus of the week. Its definitely a cool collectors item and is useful to boot, so I recommend ordering one sooner rather than later!